We’re finding writing this post slightly embarrassing. I’ll just come out and say it now – we spent less than 24hrs in a country. I know, shameful. When we left Budapest, we headed north towards the wine region around Eger, home to the famous “Bull’s Blood” – and to a lesser known sister, “Black Demon”… We arrived, and found a campsite right on the very edge of the Szépasszony (Beautiful Woman) valley. It wasn’t quite deserted, but it was close. The reception hut had a sign pointing us to “the hotel reception”. No problem, there’s a hotel right next door, it must mean that. Nope, the receptionist there seemed to be slightly surprised at the mere existance of a campsite nearby – so we just shrugged, pitched anyway, rummaged in the engine bay of the van to find out why there was a small puddle of coolant underneath (this time, it seemed to be a small split in the main header tank, nothing we couldn’t work around), and headed into town to investigate properly. It’s a pleasant place, with a pedestrianised centre of mainly Baroque buildings spreading away from a disproportionately huge cathedral. 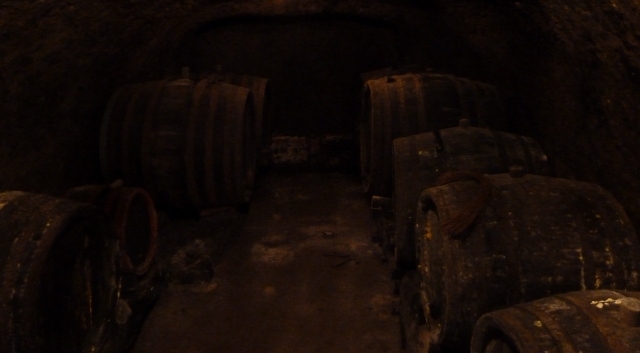 The following morning, the reception hut was manned, so we stuck our heads around the door, and promptly got dragged into the owner’s 17th century wine cellar, founded by the local bishop for his personal stocks. As we descended into the dingy depths, we were not only shown the grapes which’ll make the next vintage, but forced to get up close and personal with them. 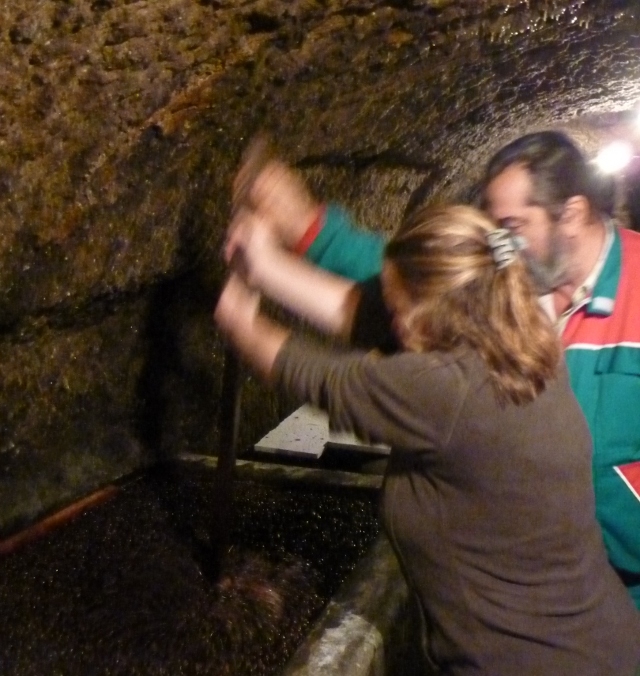 This particular cellar doesn’t crush the grapes to extract the juice, but simply throws them into a big tank and stirs them three times a day. As you can imagine, this is not easy. Which is why any excuse to get the tourists to do the work is taken. Of the several tanks, the five-day old grapes were almost impossible to stir. After a fortnight, they were much juicier and easier. The three-week tank was a doddle. All smelled superb, and a quick taste of last year’s confirmed that this was good, meaty stuff. We pointed the van towards the valley itself, expecting a meander past vines. Nope, we found a small loop-shaped carpark surrounded by what appeared to be predominately vaguely vine-themed tat stalls. Disappointment was tempered with the reality that we really couldn’t have hung around tasting anyway. 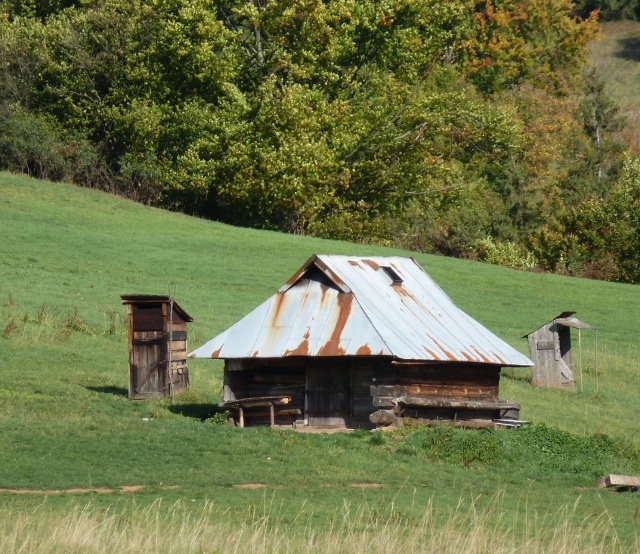 A more-or-less non-descriptly scenic route, rich in autumn colours, took us over the border into and through Slovakia. We skirted post-communist towns full of dead factories and concrete blocks of flats, and ignored around a dozen large red signs warning us that our intended mountain pass route was closed. They lied, all of them. We broke for the night near Liptovský Mikuláš, home to a hotel housed in a beautiful old manor house built into the ruins of a castle. Near, definitely not in – it looked expensive… Instead, we headed to the resort of Demänovská dolina, just where the land started to curve skywards into the foothills of the Tatra mountains, and managed to persuade the receptionist at a small hotel that the campsite behind the hotel was indeed open. The rest of our Slovakian dash to the Polish border took us through the High Tatras – truly beautiful mountains, with a crisp tinge to the air that suggested the first snow of the season probably wasn’t far off. As we chased the local train across umpteen level crossings, with the road and the track taking turns to be on the uphill side, we headed through a couple of thoroughly mediocre and touristy towns, containing such delights as cable cars to the tops of mountains – with a “botanical garden” and ubiquitous cafe to greet the jaded on arrival. Every inch of roadside seemed to be parked solid with cars and coaches, people taking to the hills for probably the last sunny Saturday of the year. 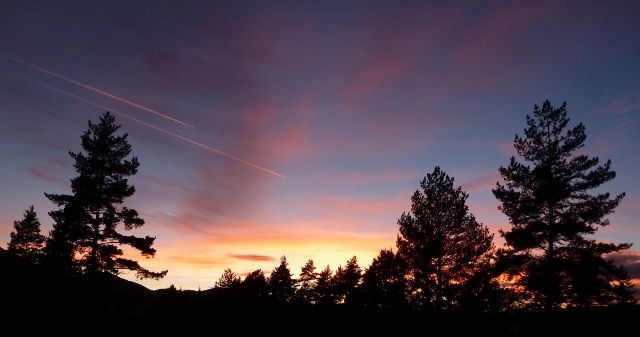 The border itself was almost invisible – we’re not even quite sure which country the mess of chaotic carparks and “cheap alcohol” huts were on – but we quickly found ourselves in the Polish “capital of the Tatras”, Zakopane. Log-built B&Bs and hotels (almost invisible behind signs and adverts at least five to every post, and no opportunity for a post missed) lined the busy roads, and we didn’t linger, although we did pause to let a wedding convoy of horse-drawn carriages bimble past to the tune of a traditional band, almost everybody wearing national costume. 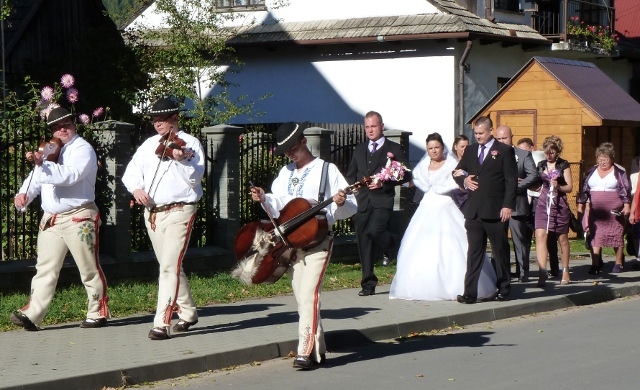 That wasn’t the only wedding we tripped across that afternoon – it appeared that just about the entire population of Southern Poland was either at a wedding (mostly their own, I suspect, because there can’t have been enough guests to go around) or having a driving lesson. 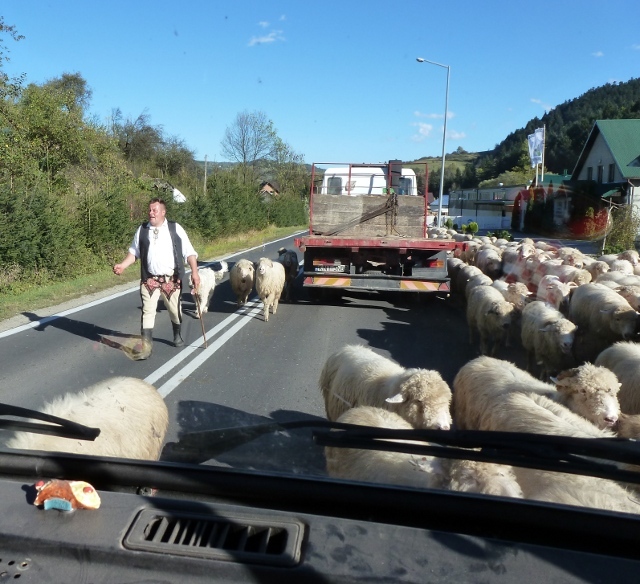 The Dunajec gorge added trucks collecting metal rafts and returning them upstream, together with the associated coach tours, to that traffic mix; which was finally rounded off with a huge flock of sheep filling an entire main road, loosely herded by yet more people in national costume. As we sat stationary, surrounded by wool, one of the shepherds leaned into my open window for a chat – filling the van with an odour of lanolin & raw alcohol. Another wedding, p’raps? This entry was posted in By Country - Hungary, By Country - Poland, By Country - Slovakia, Travel stuff. Bookmark the permalink. Thanks for following us still! Yes, I am sure these places have radically altered since you were there. Lots of lovely restaurants and food stores bursting at the seams now in Krakow! You would probably feel that they’ve somehow lost their innocence though – see my post on Český Krumlov – did you get there on your travels?